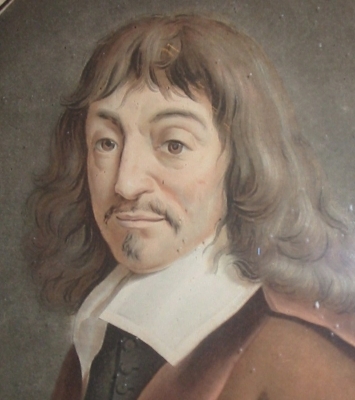 was born on the 31st of March 1596 in Descartes situated on the river Creuse, south of Tours. He was christened on the 3rd of April 1596 in St George's church. His mother died the following year and was buried in Our Lady's church at La Haye. The house where he was born is now a museum has been dedicated to the famous philosopher as a father of Cartesian thinking. He was brought up in this house by his grand mother and nurse until he went to the jesus school of La Flèche in 1607. He recieved an education there till 1615 and the experience only reinforced his desire and thirst for knowledge. After he had gained a law degree at the University of Poitiers he began to travel all over Europe, opening his mind to many new ideas. The town of Descartes, once called La Haya, was successively named after the philosopher: La Haye en Touraine, where Descartes was born, La Haye Descartes, from 1802, Descartes was named, onJanuary 1st 1967 when the 2 towns of Balesmes and La Haye Descartes were merged.